In 1971 the Experimental Station was established in Vlora Arboriculture. In 1974 it founded the Institute of fruit in Vlora. 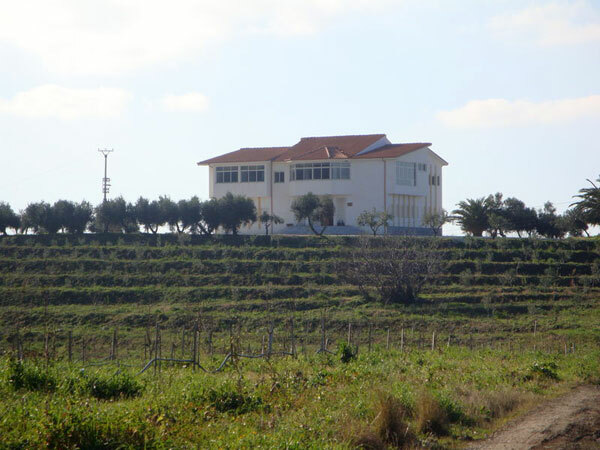 In 1984 the Institute of Olive and citrus was founded, with experimental basis in Vlora, Saranda, Elbasan. In 1995 the Institute of forestry, based in Vlora, was created by the merger of the Institute of Fruit and Viticulture Institute in Tirana and the Institute of Olive and citrus in Vlora. In 2006 the Center for Agricultural Technologies Transfer Vlora was founded with DCM. 515, dated 19.07.2006, "On the Restructuring of Scientific Research Institutes under the Ministry of Agriculture, Food and Consumer Protection (Ministry of Agriculture)", point 12. CATTs are institutions under the Ministry of Agriculture, Food and Consumer, financed from the state budget and its income. 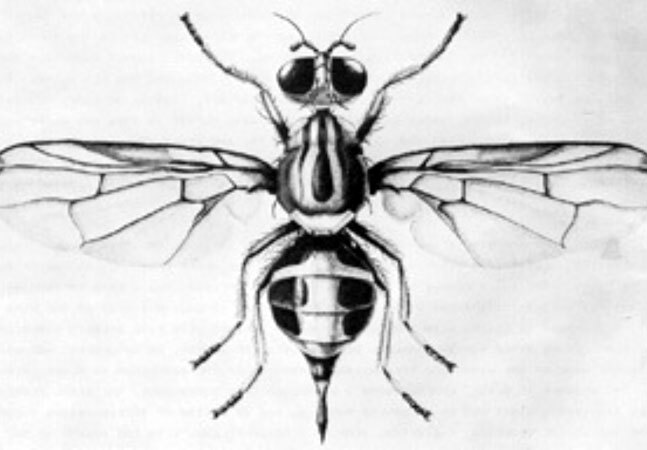 Olive fly (Bactrocera oleae Gmelin) is the key pest of olives in Albania. It is developed in the most part of olive cultivations, and the infection level reaches up to 99%. Olive fly is a serious problem for olive and in 2010 has reached a population that provokes 95% of infection in evidence. Frantoio and Kalinjot cultivations have not shown significant differences in terms of infestation rate by pest (near the harvest time). This kind of infestation causes great problems of productivity in small Albanian farms and an increasing of the environmental pollution due to the treatments with chemical pesticides. CATT Vlora and field specialists conducted a study to evaluate the effectiveness of OLIPE traps (similar for the way of action with Ecotrap) and some bio preparation produced for the olive fly management in terms of biological cultivation. This study was conducted during 2010 and subsequently, after a long research work. Evaluation of the sensitivity and / or resistance of cv. native olive to the main pests. The method developed consists in two phases: application and evaluation (Scheme 1 and 2). Tests were conducted at the experimental plot of CATT Vlora. 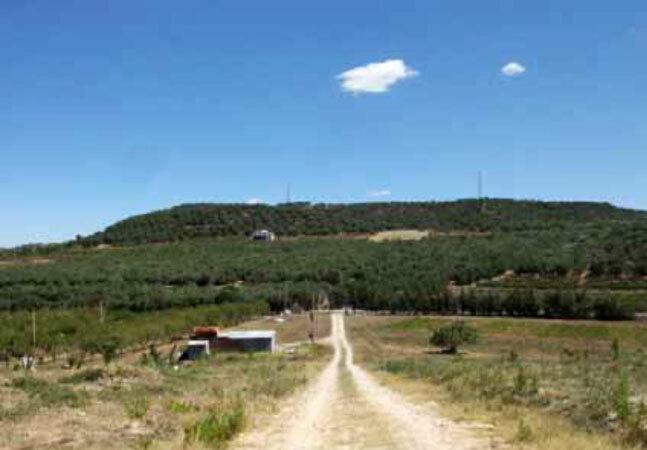 The plot where the experiment was conducted occupies an area of about 5 hectares and is surrounded by olive trees hills. Hydrolyzed protein and Ammonia bicarbonate were used to monitor the efficacy against olive fly. The parcel consists of two kinds of olives, FRANTOIO and KALINJOT, with normal production. The entire cultivation is constantly monitored every week. 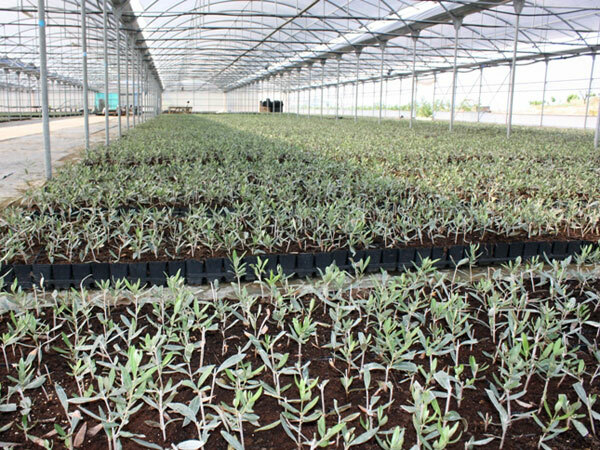 The samples were taken from 50 olive plants per group and specifically 2 grains per tree (total 100 grains) were taken, avoiding plants that are located at the borders (the outside) of the group. Analysis of samples was carried out at the Laboratory of Plant Protection in the UBT by laboratory specialist of the Agricultural University of Tirana. For each sample all stages of pest evolution were recorder: egg, sterile drilling, larva of age I, II and III alive and dead, pupa and fly exit, which provided active infection (AI) and total (TI). The best practice, that is the development of alternative, environment-friendly methods for fighting olive flies in olive cultivations, has the objective of facilitating and enhancing olive production. an important growth of competitive capacity for Albanian product in local market and beyond. Tests performed in 2010 showed a satisfactory efficiency of new bio-preparations and OLIPE traps as a key olive pest for controlling olive flies. The most effective traps are those with attractive juniper extract and ammonium bicarbonate, which we think are ready for production and extensive application. Among the tested bio-preparations, Neobordolez was the one that gave better results, compared to the market products whose use is allowed in biological production conditions. However, in years when the population of pests is expected to be too high or in susceptible cultivations in irrigated conditions, and for those extra-virgin quality oil producers, the joint application of these two methods (bio + traps) would be the best strategy: it would ensure the maximum results, comparable to those of synthesis preparations as dimethoate, rogor (Aragol), etc. Furthermore, bio preparations Natron II, Policid and Sinat (horse tail) are significantly efficient and provide a valuable alternative to be included in a management program, where bio preparations are alternated and are aimed to control the health and prevent the diseases of plants, making them less susceptible to pests. Policid, known for its effect on ticks, should also be part of the olive interventions calendar. In conclusion, the olive fly management methods through the use of OLIPE traps have given good results, significantly higher than Attract & Kill methods (traps Ecotrap) used in the same plot during the period 2004-2005. However, this method needs to be integrated with other agronomic and chemical techniques (through the use of bio-products allowed in biological agriculture), because in years when the population of pests appears high the damage caused by them affects the economic situation. Early harvest, too, has to continue being a key method in maintaining the needed quality for the production of biological quality extra virgin oil. The best practice could be easily transferred simply informing interested farmers and other relevant stakeholders about the results of the tests. With this aim, CATT has conducted seminars, workshops and field visits, involving both farmers and olive oil (thus, transformed product) producers in them. Businesses participating in those activities expressed high interest for the innovation, and organized groups of olive oil producers in Vlora, Shkodra and other Albanian cities requested the new products; some other relevant stakeholders not exclusively connected with olive oil production, such as the Albanian Agribusiness Council, expressed their interest too. The practice could be also transferred abroad (i.e., in Mediterranean Countries with high production of olive oil) involving regional/national farmers associations in the organization of informative sessions for farmers and olive oil producers.